The embattled Malindi Member of Parliament Aisha Jumwa’s woes seem to be nearing the end. After being unceremoniously handed a divorce by Raila Odinga-led Orange Democratic Party (ODM), Jumwa seems to have found another new dalliance in President Uhuru Kenyatta. During the head of state’s meeting with his Deputy Dr William Ruto at the DP’s Harambee Annex office, Jumwa was spotted in the after meeting photos that circulated on social media. He also shared another photo of Aisha Jumwa and the President alone, captioning it “The President and Hon. Aisha Jumwa, Harambee Annex. ODM said the decision on Dori was deferred ‘following his letter of apology to the Secretary-General Edwin Sifuna in which he apologised to the party for his rebellion’. 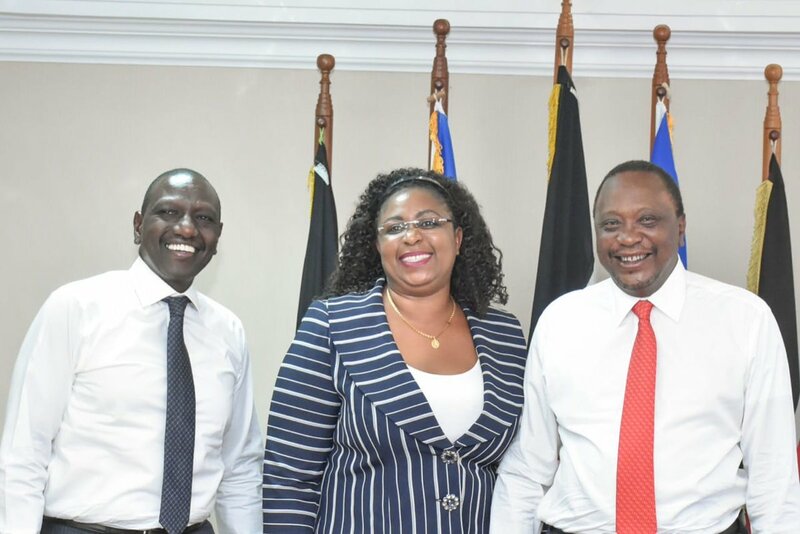 The post MP Aisha Jumwa finds new home days after divorce appeared first on Kenya Today.